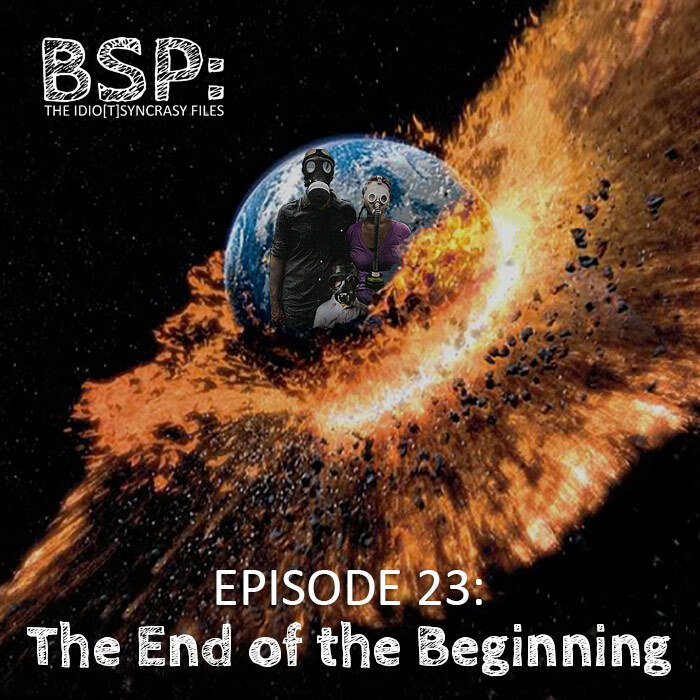 In episode 27…errr 23, Cody and Chris take on the dark subject of the apocalypse with their usual idiocy. Chris tells two stories: one of the impending software/AI apocalypse and the other about the “planet” Nibiru and its collision with Earth. Cody discusses scare tactics, childhood trauma, and PTSD due to stories of religious visions and the three days of darkness. BS Weekly is about recent sightings of zombie raccoons in Ohio. This weeks drinks are (not Katy Perry’s) Dark Horse Red Blend and Earthquake Cabernet.